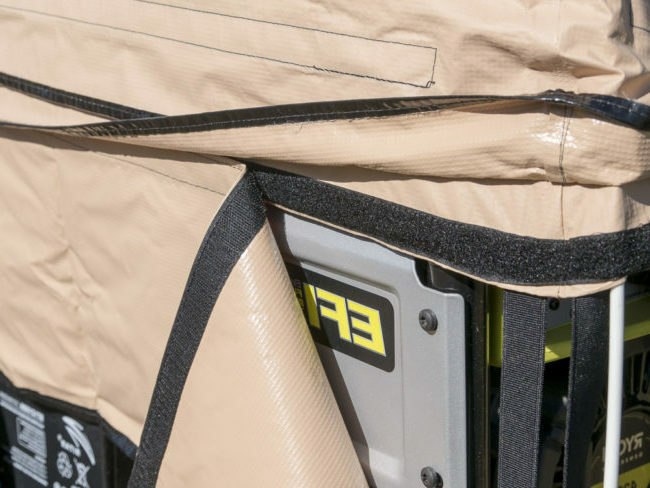 ​The underside of the cover has soft lining to avoid scratching or leaving hairlines on your generator. ​For a tight fit, the bottom has an elastic cord, sealing it from anything outside. ​No pests, insects, curious animals or toddlers may reach your machine, keeping it safe. ​The materials are made of high-quality cloth that is thick so no dirt or dust can penetrate towards your prized machine. ​Some customers have complained about the thin material used for the product with many believing it wouldn’t stand being stored outside. 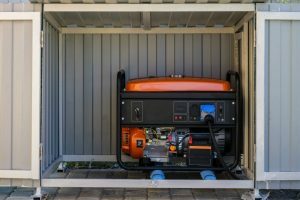 ​Although it would be a plus if the generator cover can withstand the elements outside, people who plan to store their generators in a garage or in a covered place may find that this cover suffices. ​The opinion for this generator cover varies and one may only decide for himself if this works or not. 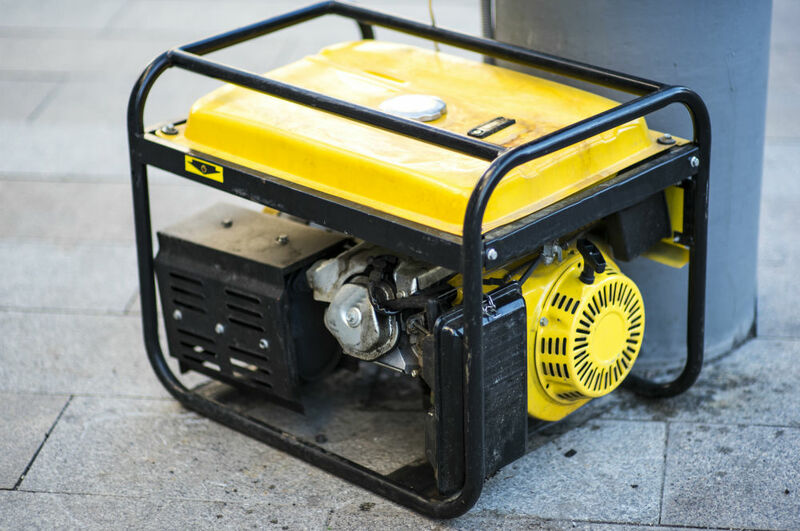 ​If you own a generator and you highly rely to it during times when there are blackouts caused by emergencies or severe weather, you need something that would protect and maintain it to prolong its lifespan. 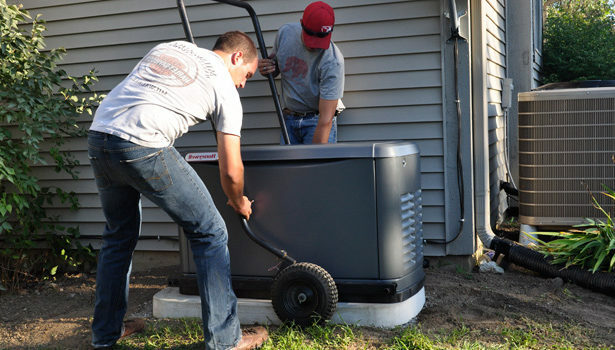 Having a generator cover is one of the affordable measures you can take. You can just imagine all the cost this little cover can save you from repairs and expensive maintenance, all for below 20 bucks. 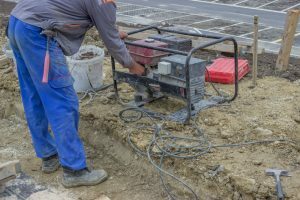 ​What are the important aspects of the Backyard Basics Generator Cover? 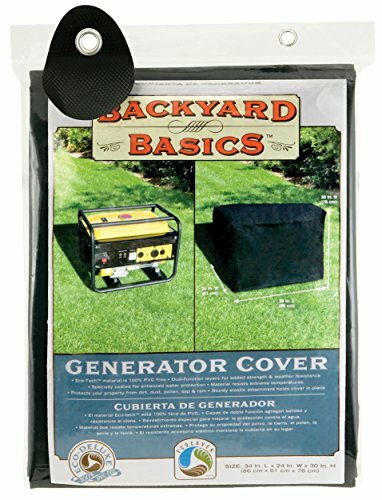 ​What other things should you know about the Backyard Basics Generator Cover? 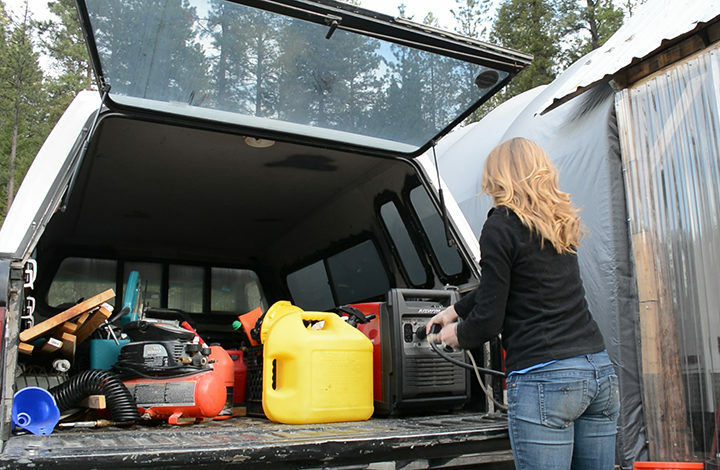 ​Check out the affordable Backyard Basics Generator Cover, for optimum protection for your machine. Backyard Basics boasts of using eco-friendly materials in the making of this generator covers. The eco-cover line of protective covers is 100-percent PVC Free, which means it is designed to have a reduced impact on the environment. It is also made of dual layer material that is for additional strength and water resistance so you can rest assured that it is weatherproof and can withstand rains, heat, snow, and wind. With the use of this protection, you don’t have to worry about corrosion especially for the exposed metal parts of your generator. Meanwhile, this double action cover provides a soft but durable inner layer to protect the finish. It can fit most sizes of generators with measurements 34-inch by 24-inch by 30-inch. It is important to take note however that some customers aren’t happy with the supposed thinness of this material. Because it is eco-friendly, not much harmful coating is used making it seem too thin and soft. If you are worried about your generator having to endure harsh weathers without additional cover outdoors, consider not getting this generator cover. Although it can withstand most elements, it may not hold up against it for prolonged periods. Because of its materials, ambient air can easily seep through the machine to cool it during warm weathers in storage. This actually helps in avoiding mold and odor build up. 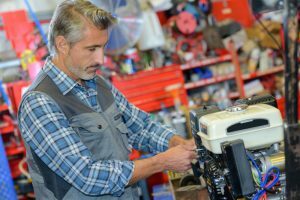 Although it may be a good material to keep ventilation going when the machine is operational, it is not recommended to cover when the generator is running. This is because this generator cover doesn’t have the right flaps and Velcro to hold the cover in place for when the engine is running. Having the machine fully covered may have really bad effects in the machine because it will be toasted with all the heat and gas build up. This is hazardous as it may burst into fire if left for hours in that state. There are really no requirements with putting this on; all you have to do is slide it on top of the machine and securely place the gartered bottom below the generator. Tuck it inside safely so no rodents, insects, or animals may push the cover off. When not in use, the cover can be easily folded and neatly stowed away. The size of the cover is just right to cover most generators. The material also hugs the generator snugly so not even strong winds can take it off. ​Because of the lightweight composition of this cover, it’s not effective at muting and containing the growls and sounds of a running generator. That is if you have even effectively put it atop an operational generator. This is because this cover is not recommended for that purpose as it isn’t built to endure the heat and fumes a generator emit. 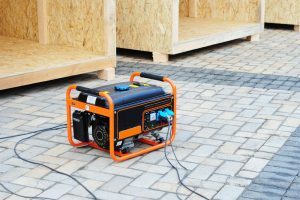 If you need something that can be put over a running generator that can mute or lessen the sound at the same time, consider investing in a shed. 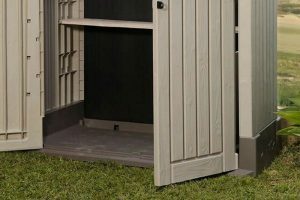 ​Although the Backyard Basics give enough protection against the changing weathers and curious animals, this may not be enough to secure it against thieves. Don’t store it outside for prolonged periods for risks of being stolen, even though the black shade is very low profile. Many reviewers said that their product is very nicely constructed using quality material and that the elastic bottom is also of good quality, which won’t be permanently stretched over time. 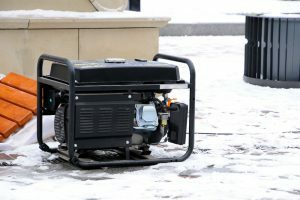 They also like how it’s universally sized to fit most generators, although it is considered on the large side if you have a smaller, portable sized generator. It can also withstand direct beating of sunlight and rain but users don’t recommend this to be done overtime as it may not protect it effectively against very harsh weather conditions. 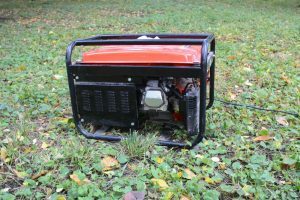 It will work well as a protective covering especially when storing your generator for days or months at a time in a storage room, shed, or garage. To top it all off, you can also use this to cover other stuff when not covering your generator. It can protect other machineries or furniture just fine. For the price, which is below 20 bucks, you’ll be saving yourself more because it will minimize the risk for repairs and expensive maintenance. Not only that, it will also keep the aesthetics of your generator like new.